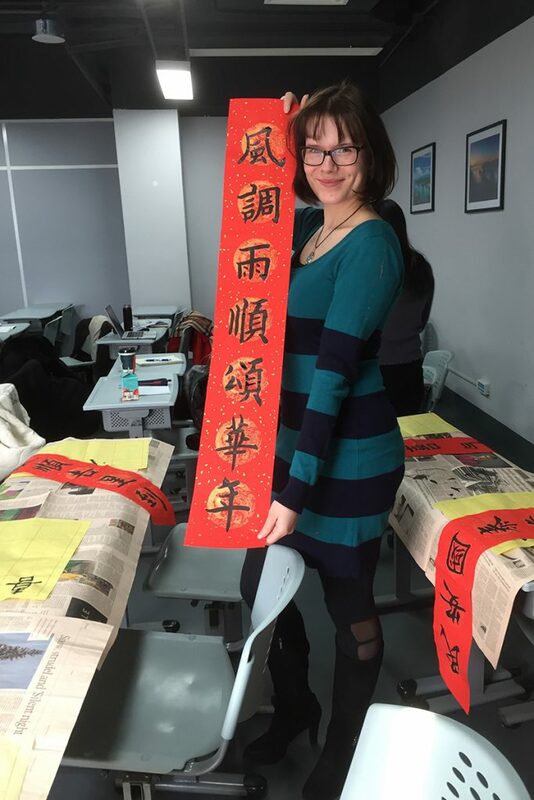 Janine Jakob, Master International Business student at MBS, is currently spending her semester abroad at Skema Business School in Suzhou, China. Here, she regularly shares her experiences. It’s been already seven months since I moved to China. Every foreigner, whether expat or student, will tell you the same: you have the feeling time moves a lot faster in China than in Europe. Once you realize how much time has already passed, you will be surprised. China is a land of opportunities and very adventurous. My semester’s highlight was the organization of my Happiness Association’s “2. Workplace Well-being Summit” with the topic “Put Well-being in Motion”. Representing 22 different nationalities, over 100 students, business professionals, entrepreneurs, and professors participated in the event. On top of the organization of the summit, I gave a workshop on “How to Successfully Socialize and Network”. The room was packed with 60 people, and according to the summit guests’ survey results, my workshop was voted the favorite session of that day. This made me very proud. 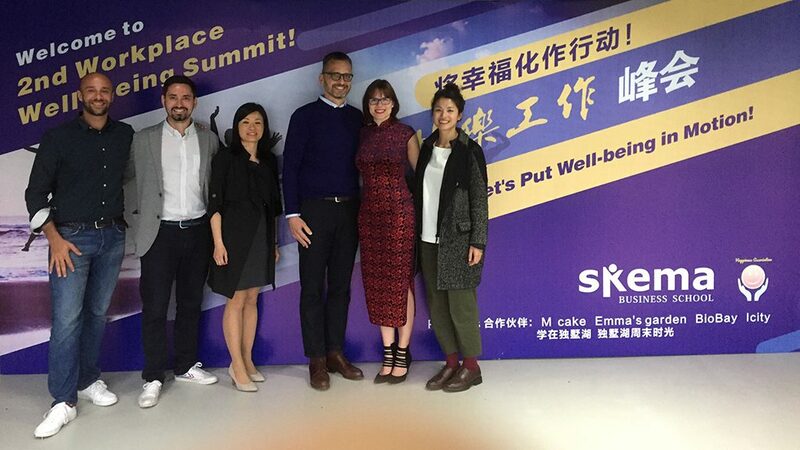 Left picture: Janine (2nd from right) with some of the international speakers of the “2. Workplace Well-being Summit”. Right picture: The participants of Janine’s “How to Successfully Socialize and Network” workshop, held at the “2. Workplace Well-being Summit”. 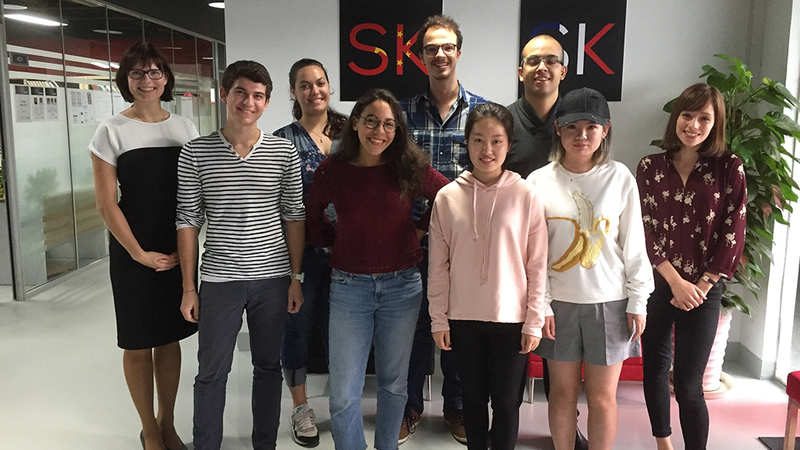 While finishing my Master’s degree, I start to plan how to build up my own business in China with SKEMA Ventures, a program aimed to promote entrepreneurial thinking amongst SKEMA students. During the past weeks, I met many new people at networking events, SKEMA alumni events, conferences, and company visits. With these people, potential new partnerships are under evaluation. Step by step, I am planning my first own paid workshops, trainings, and speeches for the time after my studies in June when I will be back in China to focus on my Master thesis. Janine, clad in a Bavarian dirndl dress, promoting her upcoming TedX workshop about “Urban Future by Co-creation with a Global Citizen’s Mindset”. It’s an exciting time and I appreciate SKEMA Business School’s support a lot. 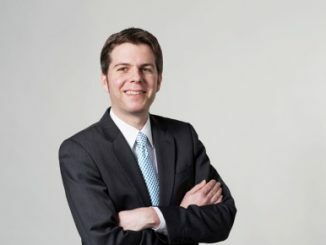 Matthieu Dumont himself, the Campus Director of SKEMA Suzhou, is involved in order to help me succeed in China during and after my studies. That is outstanding. But also the staff at Munich Business School supports me as much as possible if help is needed. I am grateful for that. I am about to finish my Master Dual Degree. Looking back, I could have never imagined that I would move to China, quit the unlimited contract with my long-term employer DXC Technology after six years, and build up my own international business related to the success factor happiness influence by Munich Business School’s happiness elective course. 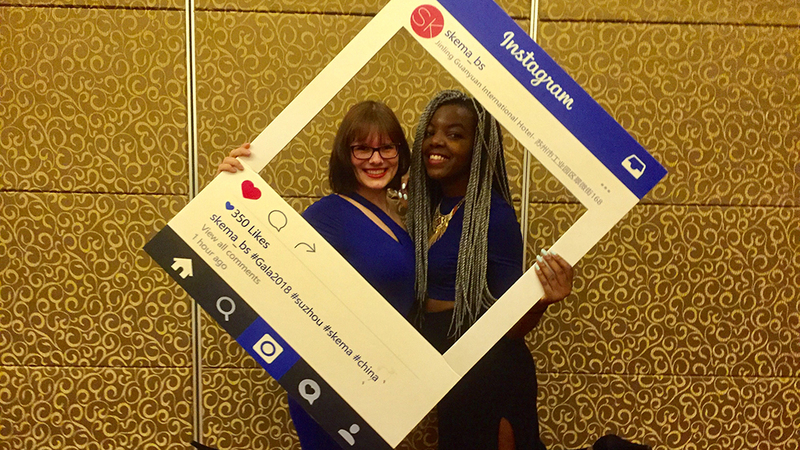 Janine with a fellow student, enjoying SKEMA’s semester end gala. 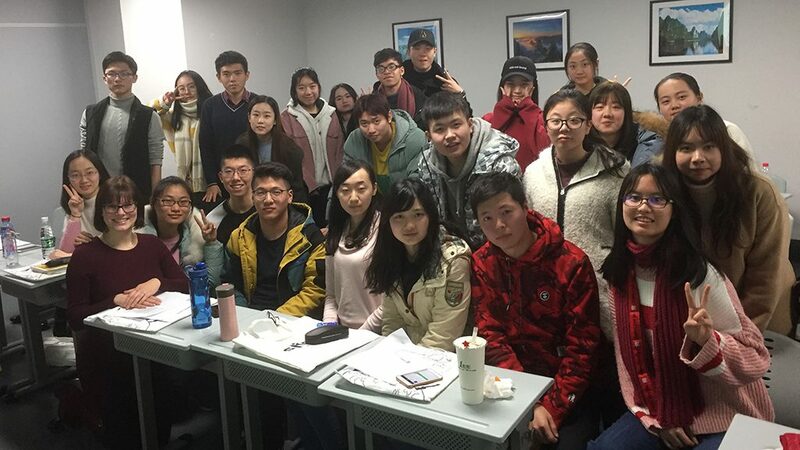 Was it difficult to come back home during your first and second semester abroad at Suzhou? How was the start to the second semester? As so many great things happened within one semester in Suzhou, I had the feeling to come back home after spending half a year or longer in China. I expected to have a bad culture shock, but it was easy to be included in my family, start Christmas preparation, and enjoy the new year with my family and friends in Germany. After nearly three weeks in Germany, I was also looking forward to go back to my new home China and see my new friends and my Chinese host family. 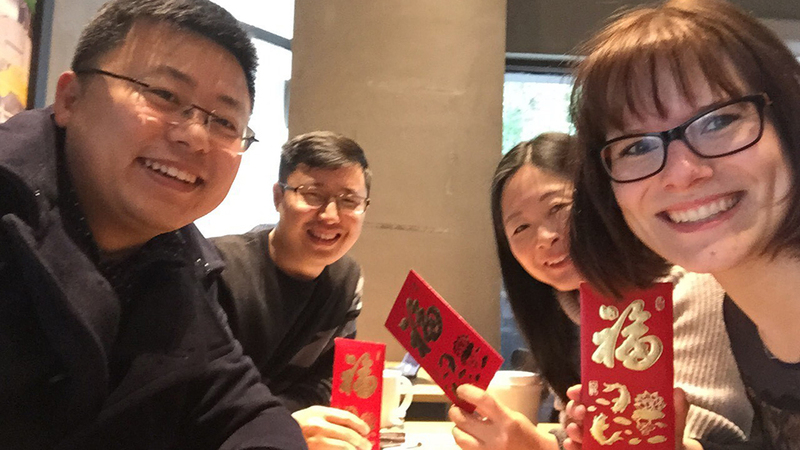 Chinese New Year tradition: you receive red envelopes (红包) from your family or boss. Before the official start of the new semester, I had the first event at Skema Business School with my start-up ByeByeBorders to introduce the service to the new international students: offering families for long-term home stay, or a 5-day home stay during Chinese new year festival, as well as a platform for Chinese families and international students to match and do activities together. 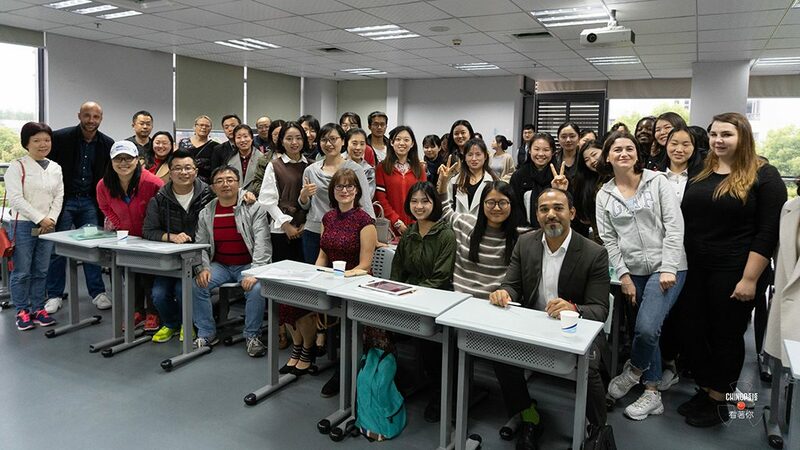 This is a great opportunity for students so they can better get to know the Chinese culture, life, and language within one or two semesters, instead of only being surrounded by a French and international environment in China. After the second week, we have already written our first exam and visited the factory of L’Oreal. Now everyone is focusing on the upcoming spring festival. Skema gives us two weeks of vacation. 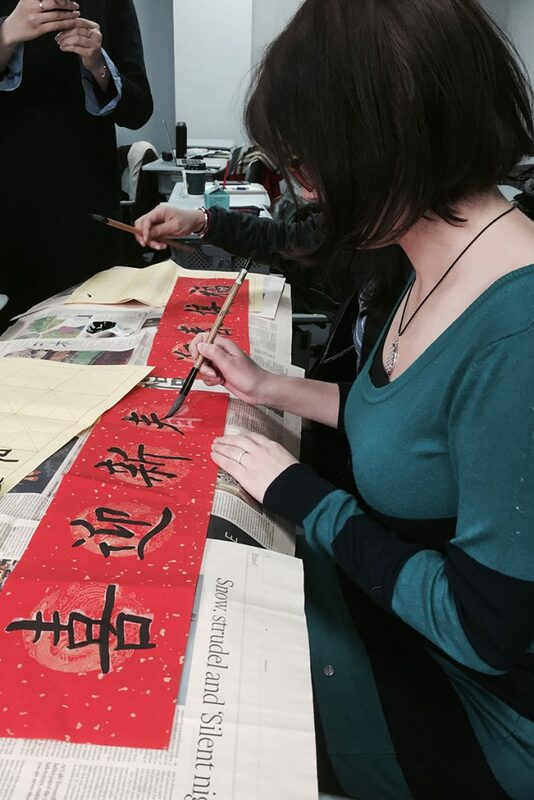 Preparing a calligraphy decoration for the Chinese spring festival. What are you looking forward to during your second semester abroad? 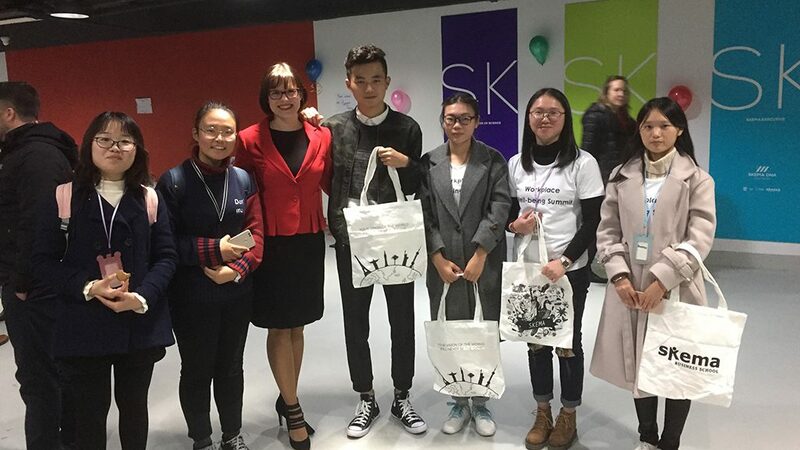 I am much looking forward to the career center events organized by Skema: visits of companies in Shanghai, Skema’s own career fair in Shanghai, visit of an incubator etc. This year’s courses are very interesting as well, so I can learn more on how to do business in China. 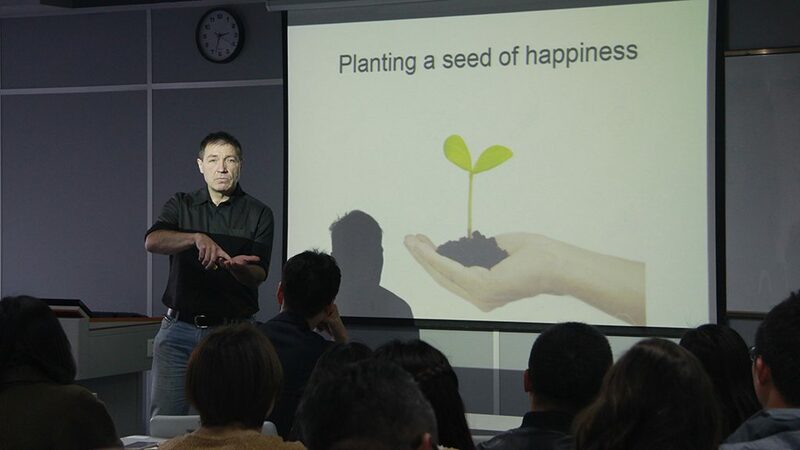 Due to my new Chinese network, I was invited to Alibaba’s headquarter in Hangzhou to speak and discuss with employees about the science of happiness. The next day I received a private tour through the campus. I am looking forward to be at Alibaba again. 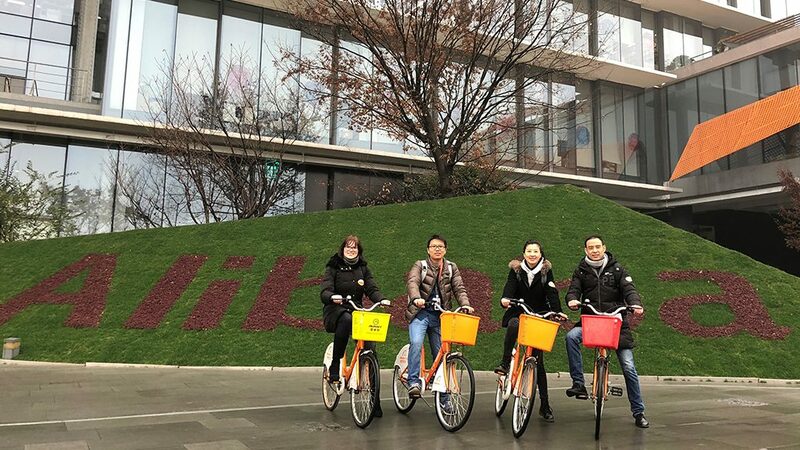 Getting ready for the well-being discussion at Alibaba’s headquarter in Hangzhou (left picture); taking a private tour on the Alibaba headquarter’s campus in Hangzhou (right). I am also excited about the upcoming events we organize with my student association. For end of March, we plan a two-day boot camp with students to experience happiness and do activities related to the science of happiness. On April 7, the 2. Workplace Well-being Summit will follow. This edition’s topic will be “Put well-being in motion”. We will include activities, workshops, and speeches related to mindset, confidence, success & happiness, positive psychology, social networking etc. It will be another amazing semester! 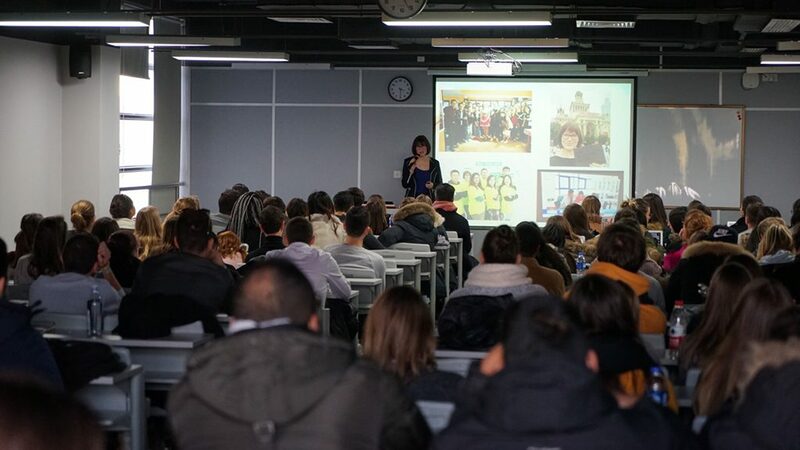 After a 90 minute presentation about Skema’a Happiness Association and the science of happiness with students from Beijing Foreign Studies University – also an MBS partner institution – at Skema Business School (left picture); speaking about my life as an international student in front of Skema Suzhou’s new international students (right). On December 1st, 2017, we successfully organized the “1. 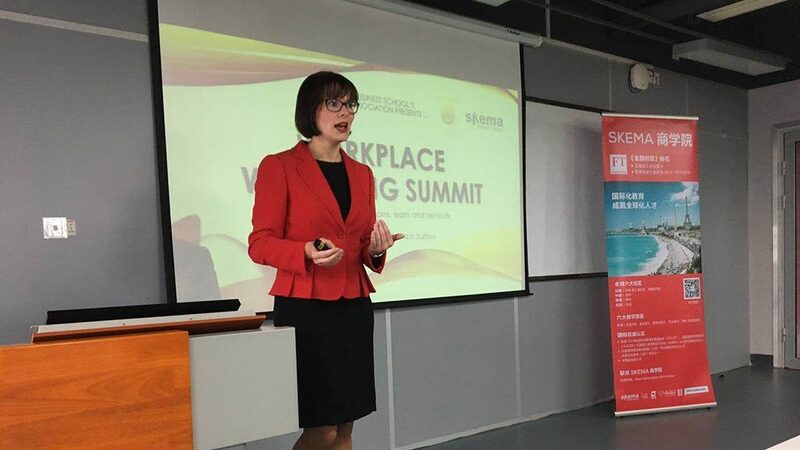 Workplace Well-being Summit” at Skema Business School in Suzhou, only two months after we had established the “Happiness Association” student initiative. Nearly 100 participants, not only French and Chinese, but from 15 different nations participated. 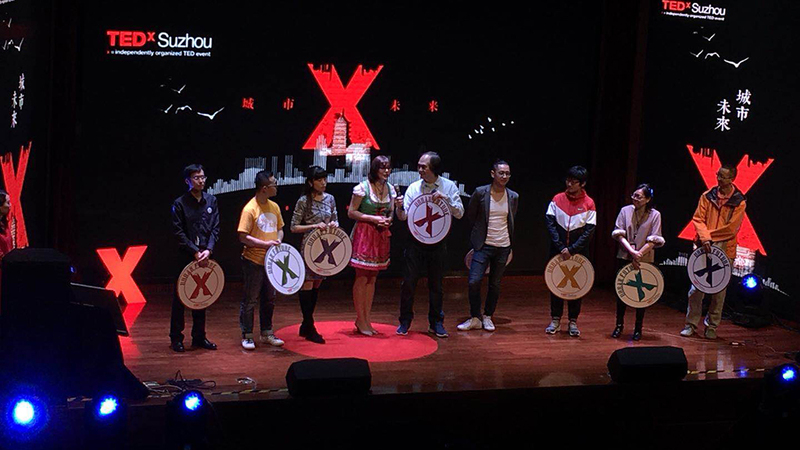 The summit attracted Suzhou and Shanghai students from 7 different universities, as well as business professionals from Suzhou and Shanghai. Every participant wanted to be inspired and learn about the importance of well-being in work and private life, and how to integrate the introduced concepts, principles, and activities immediately in everyday life. Janine (4th from left) together with the volunteering team of the 1. Workplace Well-being Summit. The speakers and activity leaders were international professionals and professors with intercultural background. They covered diverse topics related to the science of happiness, mindfulness, and conscious business like the power of holding on to your belief, workplace happiness via employee engagement, or how to reduce stress. The summit also offered activities to experience non-violent communication combined with meditation, tai chi, or finding your inner source of knowledge through Theory U. After the summit, participants started to network, learn from each other, and even job/internship opportunities were found. To sum it: Happiness is a choice, not a result. Nothing will make you happy until you choose to be happy. No person will make you happy, unless you decide to be happy. Your happiness will not come to you. It can only come from you. 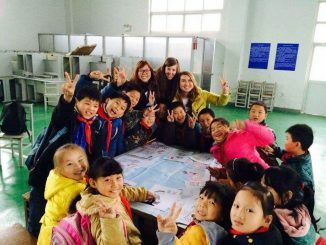 Update: Some weeks into the semester, Janine shares her experiences on living and studying in Suzhou. Life in Suzhou, China, and studying at Skema Business School is getting more and more exciting from week to week. 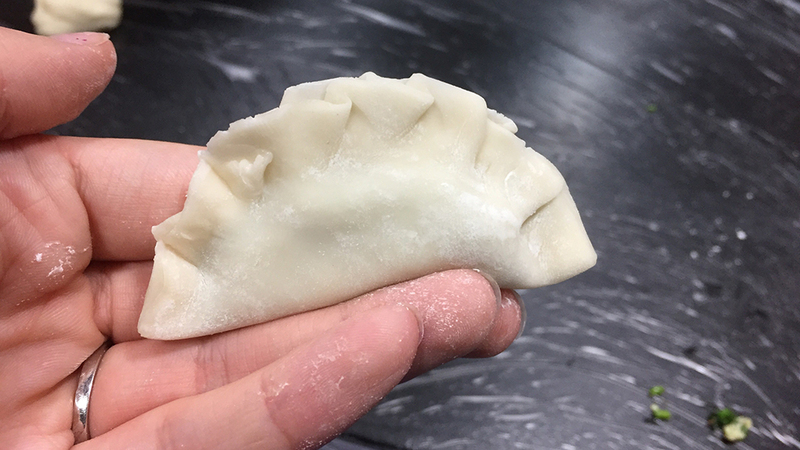 The business school’s staff tries very hard to organize typical Chinese activities and events for us: from a Kung Fu class to a dumplings cooking class; and upcoming is a competition where foreigners perform a traditional Suzhou Watertown dance. They will even broadcast it on Chinese TV. In addition to these “entertainment” classes, we went to visit local factories of worldwide market leading companies of goggles and chimneys, which also do business in Germany. That was very impressive. 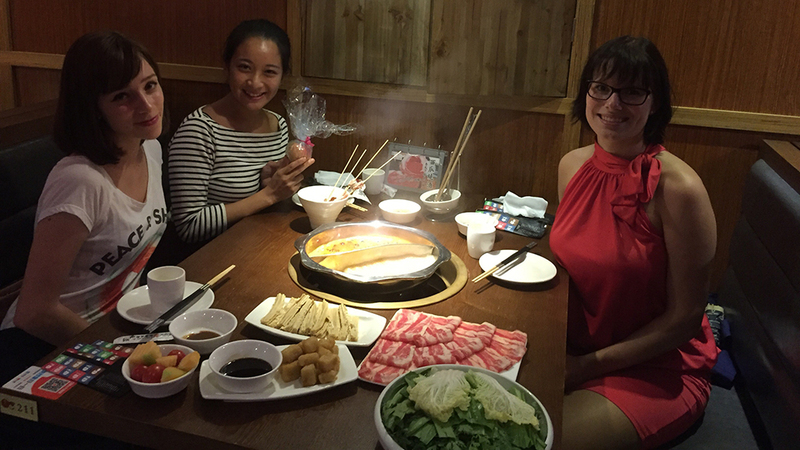 Together with fellow students, Janine (right) enjoys a traditional Chinese Hot Pot menu. My biggest achievement so far was the creation of a student association, which are highly valued and very powerful at French business schools, called the “Happiness Association”. With the knowledge and inspiration I gained in Prof. Dr. Schmidkonz’s elective course on the science of happiness, I am now creating my own happiness events here to further spread, inspire, and teach about the science of happiness. Our activities and knowledge sessions focus firstly on the individual itself and secondly also on business topics. Our highlight will be to organize a happiness conference with about 200 students, professors, and business people taking place at our university on December 1, 2017. Topics like happiness, conscious business, mindfulness, gratefulness etc. seem to be barely covered at Skema Business School as well as at many universities and companies in China. Prof. Dr. Schmidkonz’s happiness course is definitely an outstanding differentiator of Munich Business School, which did not only change my very own life; in addition, I am able to pass on my new knowledge to other people in different cultures now. This is very motivating and makes me happy! The “Happiness Association” student association, founded by Janine (left). Before moving to China, I would have never believed I would enjoy living, studying, and working in China that much. It may even happen that I stay here longer than just for my Master degree. 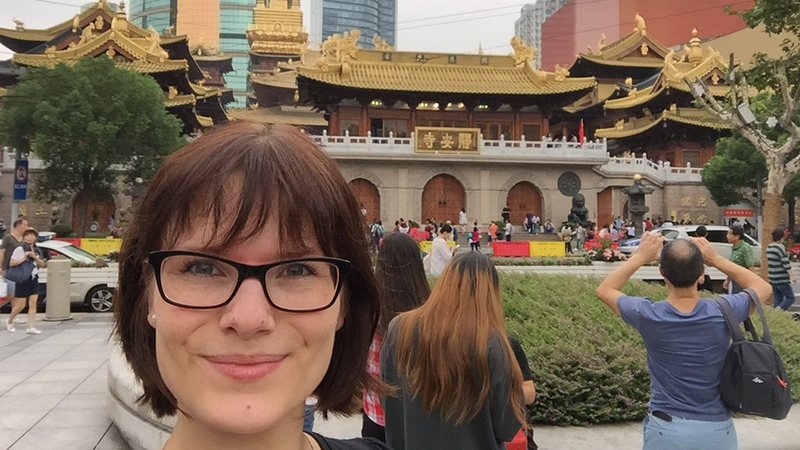 Janine in front of the Jing’an Temple, a Buddhist temple in Shanghai. 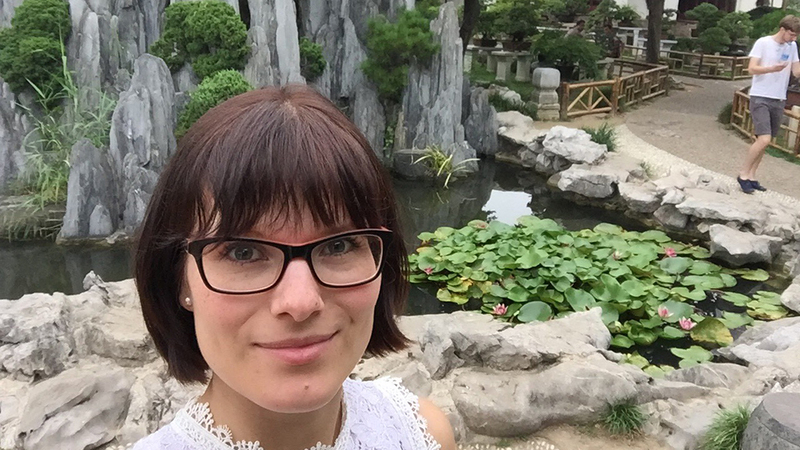 Janine at the Suzhou Lion Grove Garden, one of the city’s famous and beautiful gardens. Skema Business School as a French Grande École has a very good, global reputation. In addition, they offer a nice variety of courses fitting to my concentrations in Innovation and Marketing. 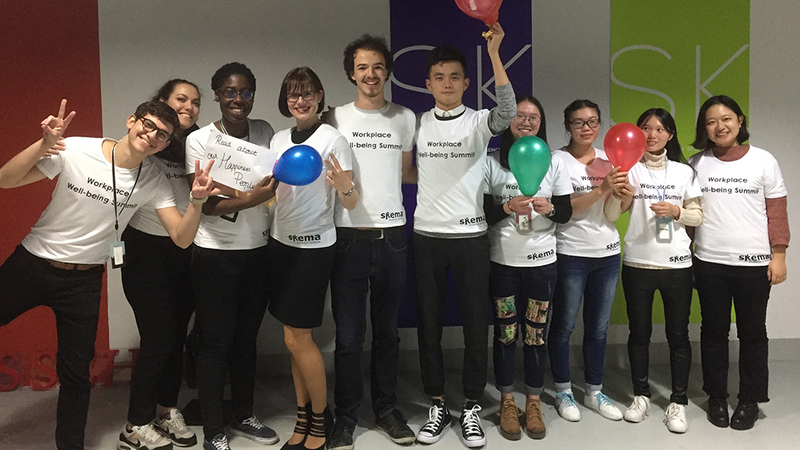 The reason for choosing Skema in Suzhou, China, was that I thought it is time to get out of the comfort zone and therefore get to know China and Asia. As Chinese companies buy many of our good German companies, sooner or later you have to get in touch with this culture. I want to enhance my knowledge, e.g. by learning basics and principles. Of course, I want to get to know the Chinese market, people and become as fluent in Chinese as possible. 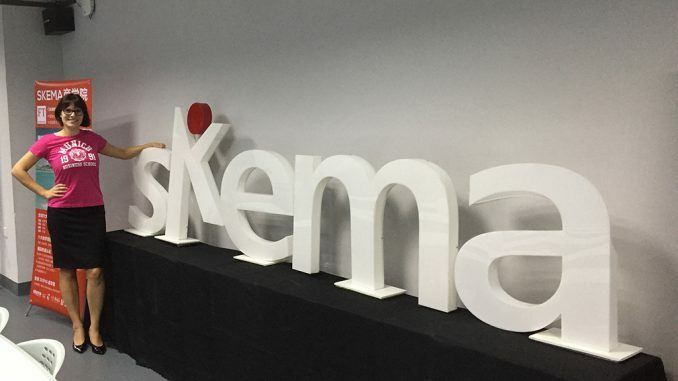 I also hope to found my own business during that time and use the services provided by Skema’s own incubator. China is full of innovative entrepreneurs and possibilities. Who knows which opportunities I might get there. 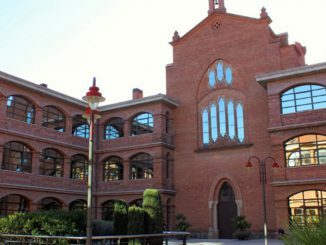 Although you are at an international business school, you will be surrounded by many French speaking students and also Chinese. A good chance to refresh my French. The atmosphere and the way of working together in groups could be different, but definitely in a good way.